Saudi King Salman reaffirmed support for the Palestinian Authority to US President Donald Trump, state media said Tuesday, after his son and heir apparent said Israel has a "right" to a homeland. 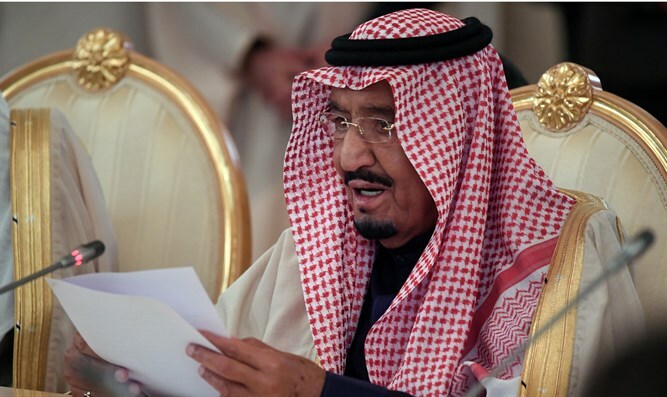 The king "reaffirmed the kingdom's steadfast position towards the Palestinian issue and the legitimate rights of the Palestinian people to an independent state with Jerusalem as its capital," the official Saudi Press Agency said. The king also emphasized the need to advance the Middle East peace process in a phone call with Trump. The Arab-Israeli conflict has long proved an obstacle to a full rapprochement, however, as Riyadh still supports the Palestinian Authority's claim to sovereignty. But Crown Prince Mohammed bin Salman indicated a notable shift in the kingdom's position in an interview published Monday with US news magazine The Atlantic. The prince was asked by the magazine whether the "Jewish people have a right to a nation-state in at least part of their ancestral homeland?"